GermiFree is a hand sanitizing thixotropic gel, containing 60% (w/w) ethyl alcohol in an emollient-rich gel base, with moisturizing effect. It has a fast-acting and effective proven antimicrobial activity. GermiFree hand sanitizing gel is also uniquely formulated to prevent dry, cracked hands, while protecting and maintaining skin barrier integrity. Kill bacteria instantly without water. 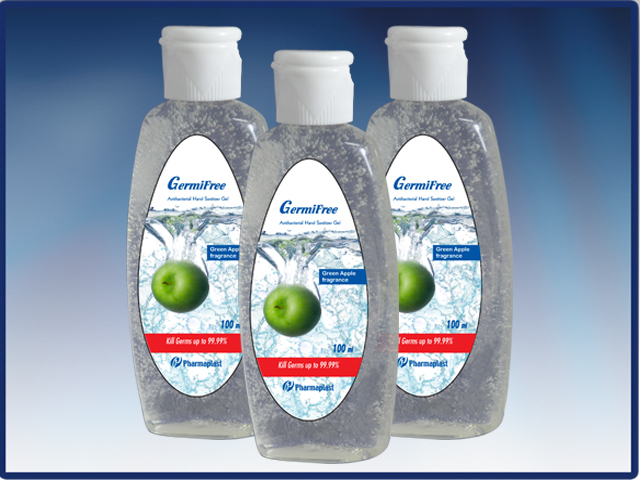 GermiFree hand sanitizer gel provides rapid antimicrobial kill of a broad spectrum of microorganisms, including antibiotic-resistant strains e.g. MRSA and VRE, with greater than 99% microbial kill in 15 seconds. Great alternative when soap and water are unavailable. 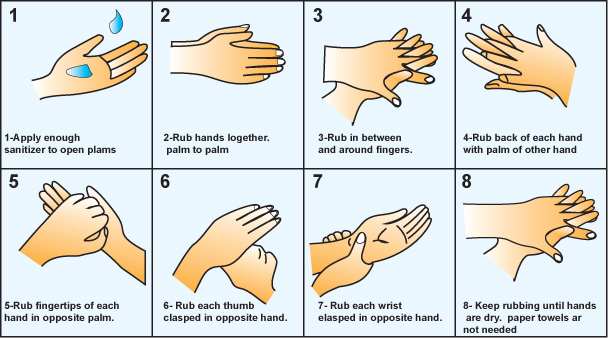 Moisturizing effect to prevent skin dryness on the long term use, it leaves hands feeling soft and refreshed. Non-sensitizing and non irritant to skin and complying with ISO 10993-10. Scented fragrances for fresh smelling hands. Perfect size to share at the office or school, fits on any desk, counter or sink. – Sneeze, cough or blow your nose. – Use the washroom or change diapers. – Prepare or eat food. – Touch a cut or open sore. Note: GermiFree hand sanitizer gel should be applied on intact skin that is not soiled with dirt or organic materials. Keep out of eyes. If contact occurs, rinse promptly and thoroughly with water.